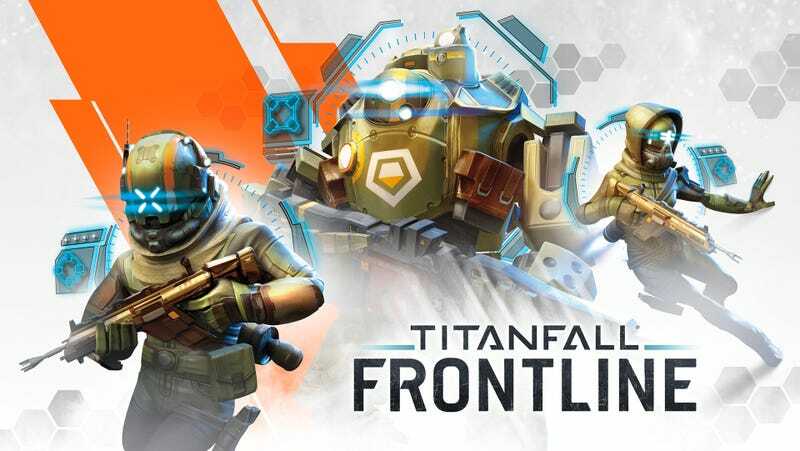 Coming this fall to Android and iOS from Nexon and developer Particle City, Titanfall: Frontline is a strategy trading card game in which massive battles between IMC and Militia forces play out in turn-based fashion. Yes, there are burn cards. Taking the role of brigade commanders, players form decks of pilots, Titans and the aforementioned tactical burn cards and march into battle against other commanders. Do you try and swarm the enemy player with smaller, low-cost forces, or build up defenses in order to hold out for heavy armor deployment? Man, I don’t know. That’s all up to you . Titanfall: Frontline is the first game in an exclusive multi-year partnership between Titanfall developer Respawn Entertainment, publisher Nexon and mobile developer Particle City, co-founded by Respawn’s own Vince Zampella. So I guess that makes them a pretty good fit. Players interested in joining the card-based battles this fall can pre-register for the game at the Titanfall: Frontline website for some sort of special launch day bonus.